Circle lenses come in sizes ranging from 14 to 15 millimetres; the average iris is 13.8 millimetres in diameter. Now that circle lenses are becoming more popular worldwide, sellers are using different marketing techniques to draw in customers. One of these techniques is size confusion. 17.5mm? That wouldn't hardly fit in your eye! These lenses appear to be huge and as a first time buyer or to someone who's bought 14mm lenses and wasn't happy with the size, may seem fantastic. The problem is that there are no lenses that are truly larger than 15 - 15.5mm. This super large size is measured by flattening the lens; removing the curvature adds diameter. Circle lenses are measured by the manufacturer by their diameter subtracting the curvature. This is done by simply measuring the diameter of the lens as it sits and not flattening it. This causes slight differences in the reported sizes, and some may say a 14mm lens is 14.2mm but these slight differences are not intentional exaggerations like claims of 17.5mm lenses. Yes they are that wide, but only when flattened, with the curvature they may only be 15mm. Don't be fooled by such simple marketing techniques. Don't use just any supplier's photos as a guide, instead use the photos of the lens in an actual person's eye as your guide. This way you'll see what your lenses will actually look like, not how some suppliers want you to see them! 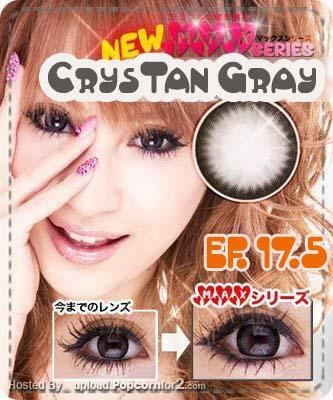 These lenses appear to be huge and hence can be called as perfect Circle Lenses. These are very beautiful and enhance the beauty of the wearer's eye.